Have you felt or asked the same? And hope flickered back into being within me. 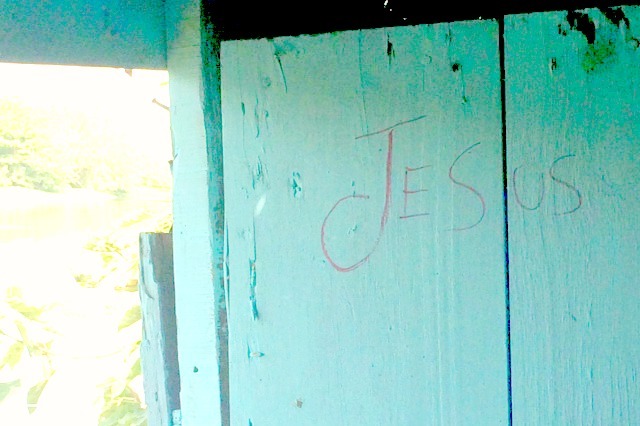 The same question I asked that evening came to mind as I stood in a tiny shack in the Dominican Republic today. The Compassion Bloggers had come to see a grandmother raising three children, including one with special needs. As she shared her life it sounded much like the news headlines I’ve already described. Yet this time the story wasn’t on a screen–it was standing right in front of me. He was right here in this place, this moment. That is the hope we can find on our darkest days and even in the deepest poverty. But we can’t let ourselves fall into those traps. 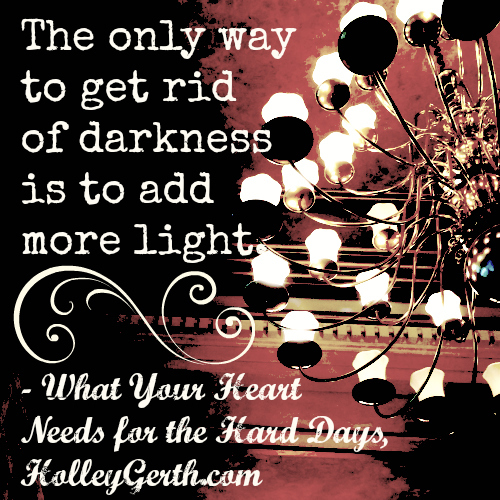 Instead we need to stay focused on the only real solution to darkness: adding more light. That’s something we all can do. Wherever we are. For whoever God places in front of us. Because we all have the Light of the World within us. It might be through loving your family. It might be through serving in your community. 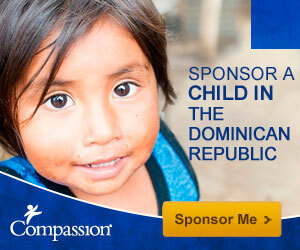 It might be by sponsoring a child through Compassion International. Whatever it is, do it…because it only takes a spark to start setting your world ablaze. Don’t let guilt win. Don’t let cynicism convince you nothing can change. Don’t tell yourself, “The little bit I have to offer can’t make a difference.” Let me assure you, with Jesus it can. You are here at this time in history for a purpose and no one can take your place. Be who you are, give what you can, do what only you can do. Let’s drive out the darkness together. Starting now. Super-Exciting Update: As I’m writing this, 62 children have now been sponsored through the Dominican Republic Compassion Bloggers! You can see all of them here. Thank you! Our team would appreciate your prayers as we wrap up this week. It has been both hard and wonderful to be here. Read more posts from my fellow travelers on this trip: Bonnie Gray, Bri McKoy, Lisa Leonard, and Ruth Soukup. Girl, you shine! I love watching how God uses you to make a difference. And we love our sponsor kids. It’s such a small way to give back, but it’s so rewarding! Holley, this is a wonderful piece and a timely and beautiful reminder of how the light of Jesus can dispel any darkness! Thank you so much for what your doing! Holley, I just love your blog. It’s so refreshing and positive! This post and topic really resonate with me. “Let your light shine” has basically become the theme of my life after struggling with depression and PTSD in my teens and early 20’s. Even when we’re going through struggles, we can still do good for others in small ways that can make a huge impact – on us and them.